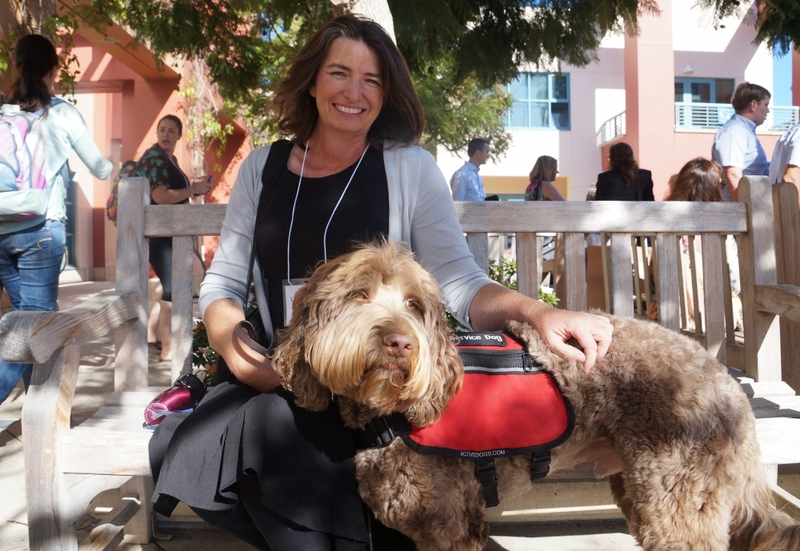 Bullet, an autism therapy dog, and his handler attended the two-day conference, which highlighted cutting-edge treatments strategies for autism and Asperger’s syndrome. Lynn Koegel's presentation on teaching ASD children how to initiate communication emphasized that those who are able to do so experience better outcomes. 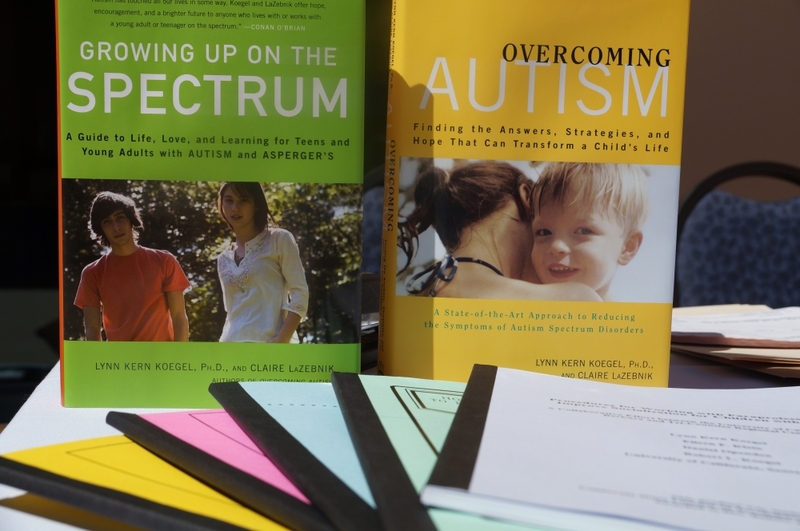 Author Lynn Koegel, clinical director of the UCSB Koegel Autism Center, spoke at the 7th International Pivotal Response Treatment Conference for Autism Spectrum Disorder. At a poster session capping the conference's first day, Anne Ekrheim, Alvdis Roulund and Mari Østgaard presented information about PRT implementation in Norway. Robert Koegel, the director of the UCSB Koegel Autism Center, delivered the conference's first keynote presentation. When Lynn Koegel was asked to help a 3-year-old with autism, she didn’t hesitate, even though millions of people would watch her work on the television show “America’s Supernanny.” Koegel is the clinical director of UC Santa Barbara’s Koegel Autism Center, where she and her husband, Robert Koegel, developed pivotal response treatment (PRT), one of only a handful of autism therapies supported by recognized empirical evidence. 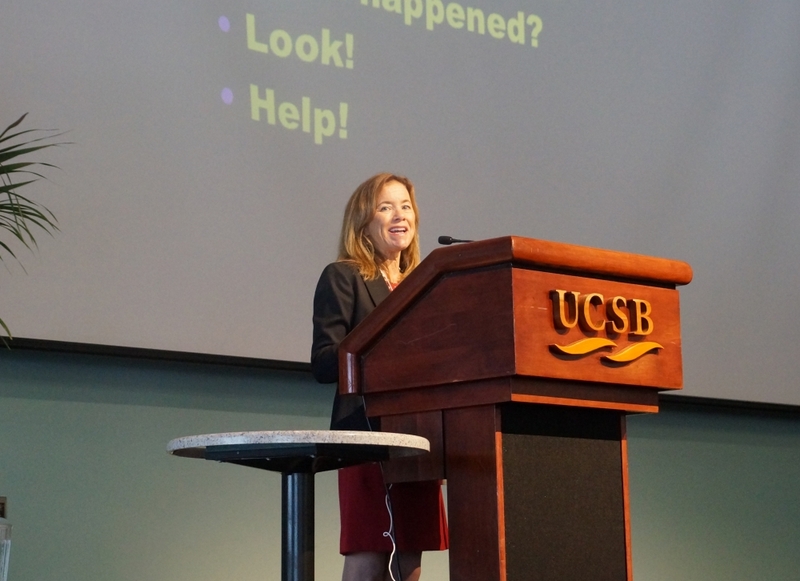 At the 7th International Pivotal Response Treatment Conference for Autism Spectrum Disorder (ASD), held Sept. 18 and 19 at UCSB’s Corwin Pavilion, more than 250 attendees learned the basics of PRT and earned continuing education credits. Scholars, educators, health care professionals and parents heard presentations or attended workshops on cutting-edge interventions and treatments strategies for autism and Asperger’s syndrome. The conference opened with keynote speakers Robert Koegel, director of the Koegel Autism Center, and Ty Vernon, director of the center’s assessment clinic. Both provided an overview of PRT, a protocol based on principles of positive motivation. PRT research has shown that increasing children’s participation in activities they enjoy can actually lessen the severity of ASD symptoms and open the door to more positive social interaction. Communication is key and language acquisition plays an important role in PRT. For example, on “Supernanny” Lynn Koegel used some of the child’s favorite activities — swinging and being tickled — to teach him to verbalize. Millions of viewers heard Tristin speak his first word, “tickle.” Koegel spent a week working with him, and by the end of that time Tristin’s vocabulary had already expanded to 20 words. Additional presentations covered specific aspects of PRT, such as how to teach independent skill monitoring (self-management) and how to increase food flexibility in ASD children. The conference also incorporated a variety of workshops and breakout sessions. In “What Helps? Evidence Based Practices for Parents of Children with Autism or Intellectual Disabilities,” for example, George Singer, a professor in UCSB’s Gevirtz Graduate School of Education, reviewed evidence-based practices for teaching first words and multiple words to children with ASD. Alvdis Roulund and her colleague Marcus Hansen traveled from Norway to attend the conference and, more specifically, Singer’s workshop. “We also went to another workshop for people working on Level 5 PRT certification, which was really useful, too,” said Roulund, an applied behavior analysis consultant for an Oslo-area center for autism. At a poster session capping the conference’s first day, Roulund and several colleagues presented information about PRT implementation in Norway. The conference continues Friday afternoon with additional presentations and workshops, including one at 3 p.m. during which Grace Gengoux, clinical assistant professor at Stanford University’s Autism and Developmental Disabilities Research Program, will focus on using group parent PRT education to address language and social skills. At 4 p.m., UCSB alumnus Paul Griffin, IV, an adult with ASD, will share his personal experiences, struggles and successes transitioning from college to the workforce. Additional information, including a complete schedule of remaining presentations is available at http://www.education.ucsb.edu/autism.